Memories are very important to each of us and capturing each moment can be quite tedious. Pandora is fully aware of this, and so set about creating memento that would capture our moments in the form of jewellery. Founded in 1982 and headquartered in Copenhagen, Denmark, Pandora ensured they created stunning jewellery with the very best materials at an affordable price. This has brought a turning point in the company, as it now employs nearly 17,000 people worldwide with over 1,900 stores worldwide. 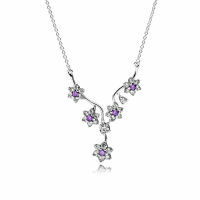 They currently offer an intricate range of bracelets, charms, earrings, necklaces and pendants that all have been manufactured to a very high standard in Indonesia. One of the most influential lines for Pandora is its stunning range of bracelets. These give you the option to add charms and design your own bracelet; which can is both fun and also meaningful to the wearer. Pandora's range of jewellery has grown over the years and each collection captures everything from holiday fun to being a mum. Each creative piece will always capture your heart and mind. You can be sure that Pandora will always add elegance, sophistication and quality to last for a lifetime. 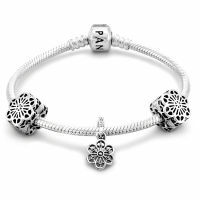 Discover Pandora full collection 2016 here!